Two companies have signed leases at the 5th+Colorado tower under construction in downtown Austin. Property managers for the office high-rise announced Wednesday that New York City-based co-working space Industrious Office will take 19,087 square feet on the 11th floor of the building. It will be the co-working space operator’s 11th location in the U.S., but the company said it plans to have a total of 20 such spaces in the near future. 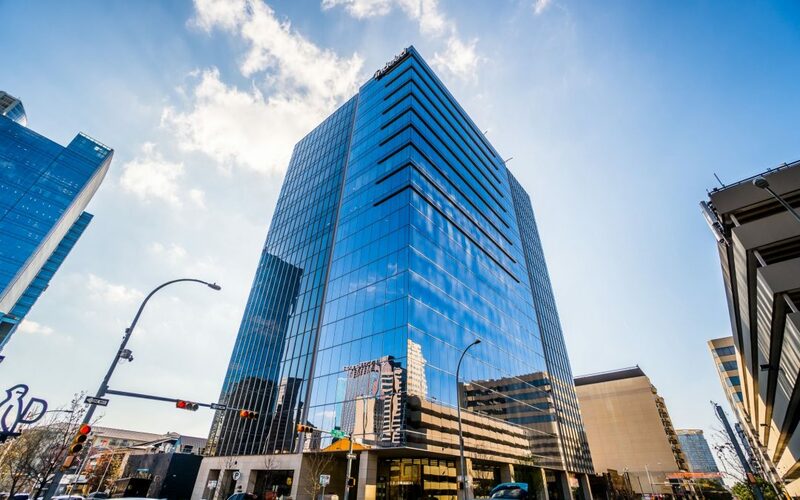 Additionally, Austin-based fashion design firm Sherri Hill will take 12,434 square feet on the 16th floor of the building, moving from its current location at 9011 Tuscany Way in Austin. Leasing for the tower is being handled by Lincoln Property Company’s Trish Williams and Seth Johnston. 5th+Colorado, a 179,290-square-foot office tower expected to deliver in April 2016, had already inked a 16,252-square-foot lease for Plains Capital Bank.